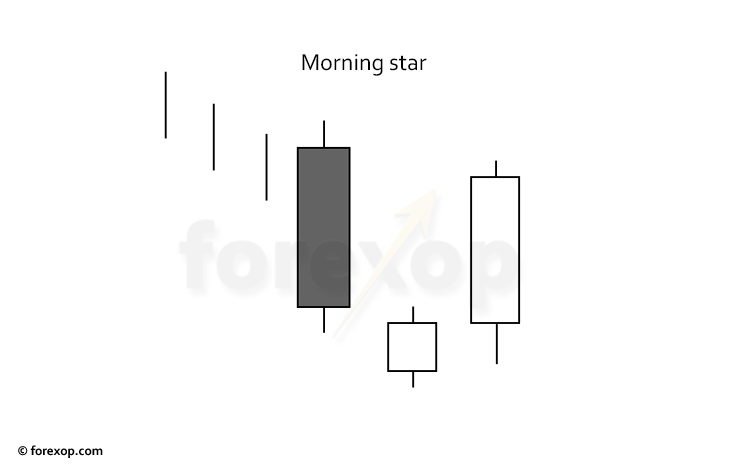 The morning star is a firm “price action” candle pattern that we can look for as a sign that a down trend may be about to swing upwards. A morning star strategy is typically useful for trading on short swings in a downward trending market. The pattern usually shows up in places where the market has reached an oversold level. When this happens, sellers have pushed the market low enough to attract in new buyers. These upswings create good opportunities for either long or short strategies. 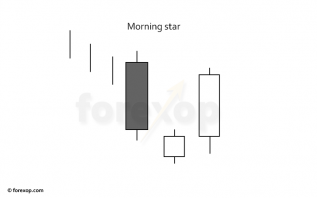 The morning star’s opposite is the evening star and this is a bearish reversal trigger found in rising markets. The morning star has a very characteristic “U-shaped” appearance. It is made up of three candlesticks and is usually seen after the market has pushed to a significant recent low. It’s mostly followed on the daily chart but it can be found elsewhere. The pattern starts with a long bearish candle on day one – this is generally a significant low point of the recent bearish trend. The next day opens at or below the base of the bearish candlestick. It may close higher, leading to a white candlestick (the middle). Alternatively the middle candle can be a black (bearish) candlestick. On the daily forex chart this configuration is actually more common than a white middle candlestick since the market doesn’t close overnight during the week. The third candlestick in the pattern is the trigger candle, and this is a long white bodied candle. This candle suggests that the immediate trend has turned bullish and an upswing may be forming. 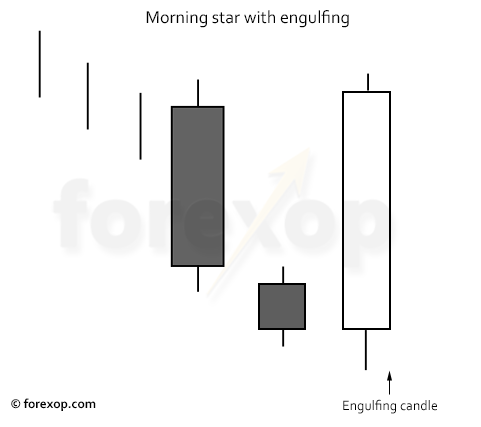 The key to identifying a strong morning star pattern is to look at the two candlesticks either side of the center one. What we are trying to do here is see whether the market is showing telling signs of a flip in sentiment from bearish to bullish. We look for evidence that the first candlestick is a capitulation. This is where sellers are closing positions in sufficiently high volume to push the price to a new low during the open and close time of the candle. The center candle may gap lower and then close either higher or lower. This means the central candle can be either black or a white. What’s more important though is the body size. The center candle should be short bodied, possibly with a long lower or upper shadow. This means that buying was sufficiently strong to halt the downtrend and begin a tentative reversal. The central candle might possibly be a doji or flat candle. The third candle is the decisive candle and will tell you whether to enter the market or to wait. The third candlestick must be white (bullish). It doesn’t need to close above the first candlestick but it should be at least one half to three quarters of the size. This means there has been a sufficiently strong turnaround and there’s a higher chance that the bullish swing will extend further. In some cases the third candlestick will be stronger than the first, possibly engulfing it entirely. We treat these cases with more hesitation. When entering after a very strong third candle there can be some drawdown before the market moves upwards again. This is because it has risen too quickly and hasn’t had time to consolidate. 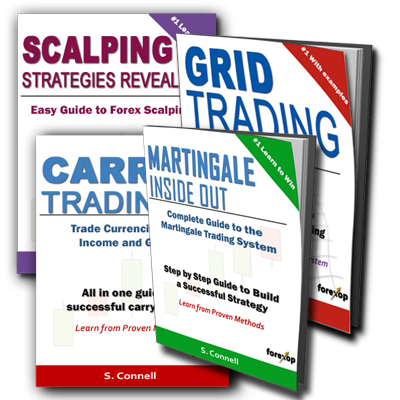 Then there can be a sharp pullback afterwards as the market gives-back some of the gains. For that reason we usually wait on these cases for the pullback to unfold. Morning star patterns most often appear in downwards “waves”. The swings that the pattern identifies may be brief and in many cases the bearish trend will reassert itself afterwards. This example shows the daily EURGBP chart. Heavy selling occurs during candle 1 and this pushes the price to a deeper low within the main trend. Candle 2 opens and closes slightly lower. But the long shadow suggests there’s a great deal of activity during this period. If volume data is available, this can be used as a confirmation. The narrow body suggests that buying and selling pressure are evenly matched at this point. 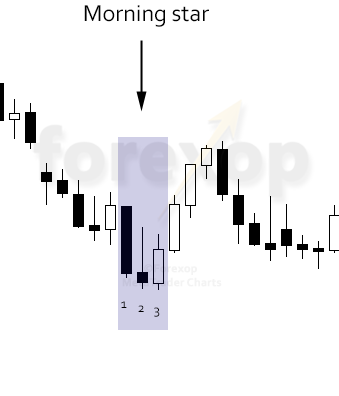 At candle 3 we see a stronger recovery as the price rises well into the body of the first candle in the pattern. This suggests that some short term gains are likely as the market starts to retrace some of its fall. As the pattern ends we see a strong upswing in the following three candles.